Within 24 hours of JetBlue’s announcement that it planned to impose fees for checked bags and reduce legroom in coach, the reactions of two of the airline’s key stakeholder groups have been expressed loudly and clearly. Wall Street is elated (company shares were up almost 6 percent); and customers are bummed (typical comment from my Facebook feed: “Say it ain’t so, JetBlue”). 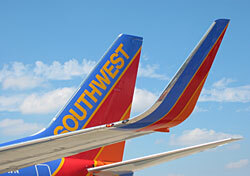 Does Southwest stand to benefit from JetBlue’s move? “History would suggest that we will definitely gain some customers there.” He cited a “significant market share shift” in 2009, when airlines first began imposing nuisance fees. And to the question of “leaving money on the table” by ignoring the revenue potential of extra fees for bags and other services—a Wall Street preoccupation that ultimately pushed JetBlue to add bag fees and reduce legroom—Kelly expressed confidence that the fee-free strategy was not only customer-friendly, but investor-friendly as well. That’s a provocative claim, that flies in the face of the common presumption that consumers will endure all manner of insults so long as the price is right. If he’s right, it means that most other U.S. carriers have it wrong, and their aggressive ancillary revenue strategies are actually depressing their bottom lines, rather than boosting them. That research Mr. Kelly alludes to? If only he would share it with JetBlue. And American. And Delta. And United. And so on. How will JetBlue’s new policies affect your future air travel?